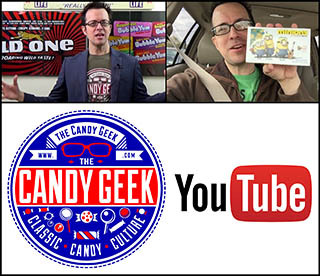 ← The Tale of the Forgotten Cristy Bar! Candy Care Package from Germany! 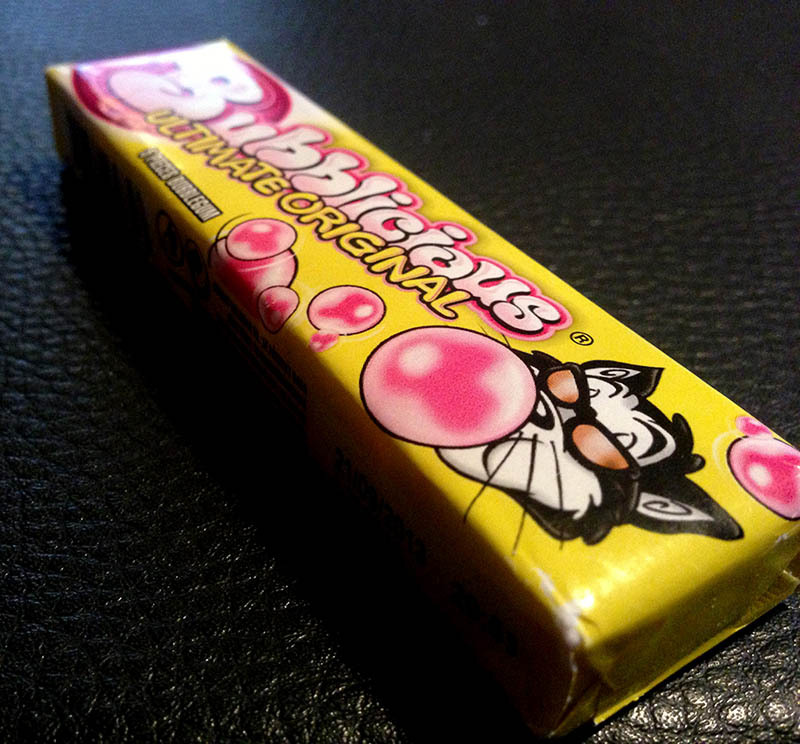 As a candy collector, it’s fun to pick up the things you can’t get locally, and it’s especially fun when those things come from overseas. 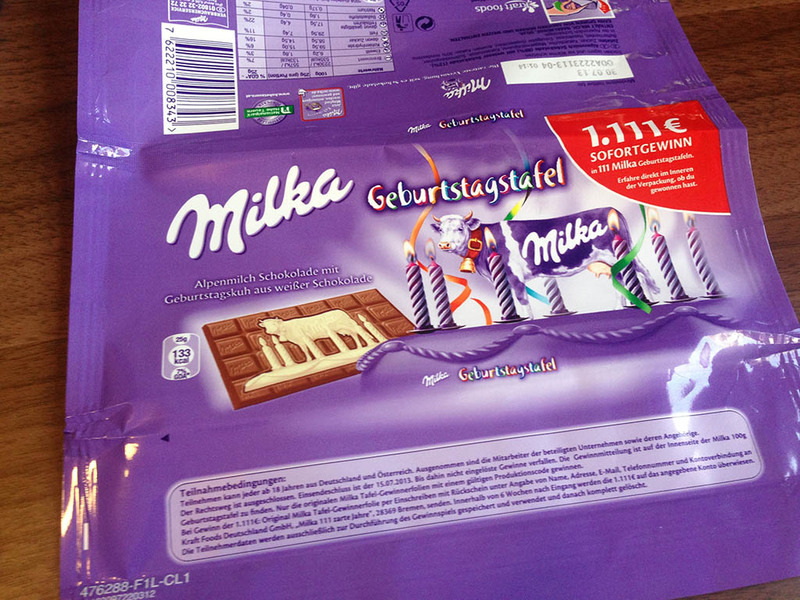 Though there is a rich and wonderful world of international confections to sample and consume, as a collector my favorite international pieces are the USA brands I know, specially packaged and sold in other countries. 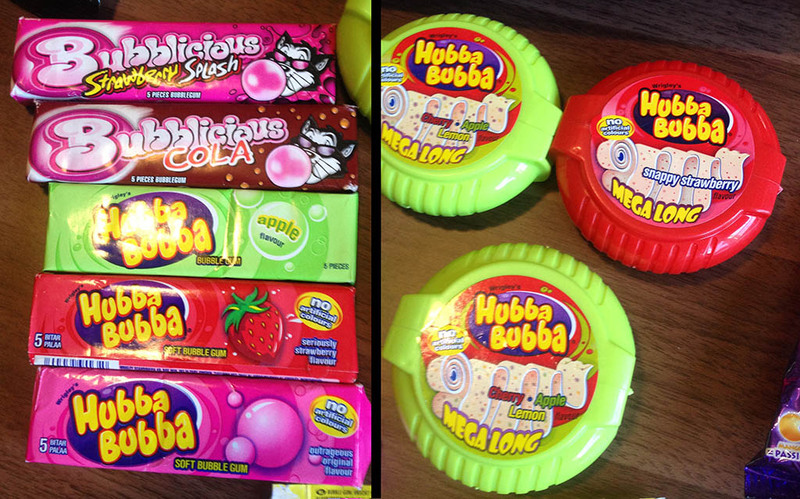 Recently, I did an exchange with a pal of mine in Germany where I challenged him with picking up a number of “German versions of USA products”. 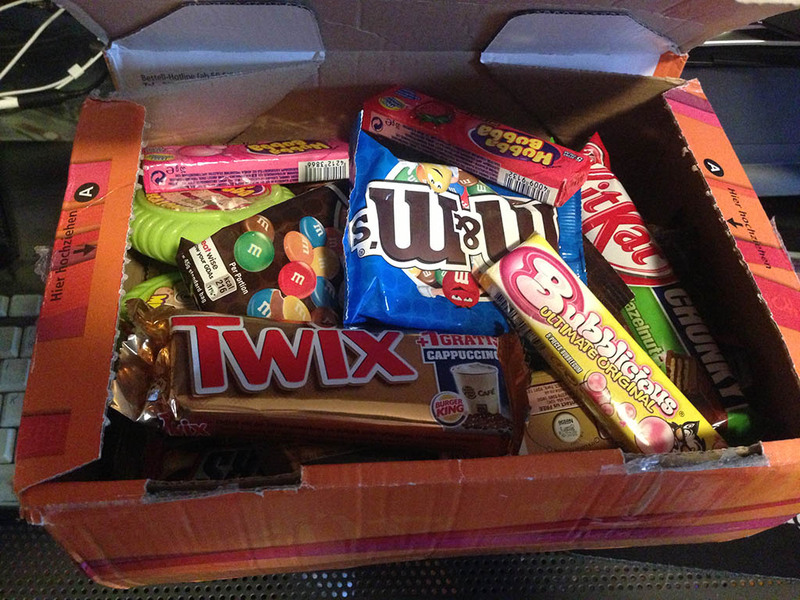 And over the weekend, I received my candy care package from him. Today I’d like to share the contents. 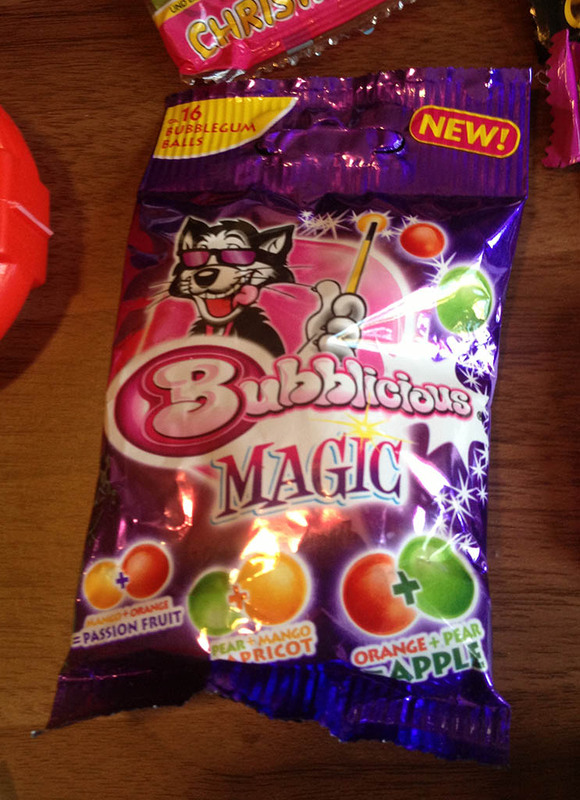 The first two items that caught my attention were the Twix with the Burger King offer and the Bubblicious Original pack with the cat mascot on it. 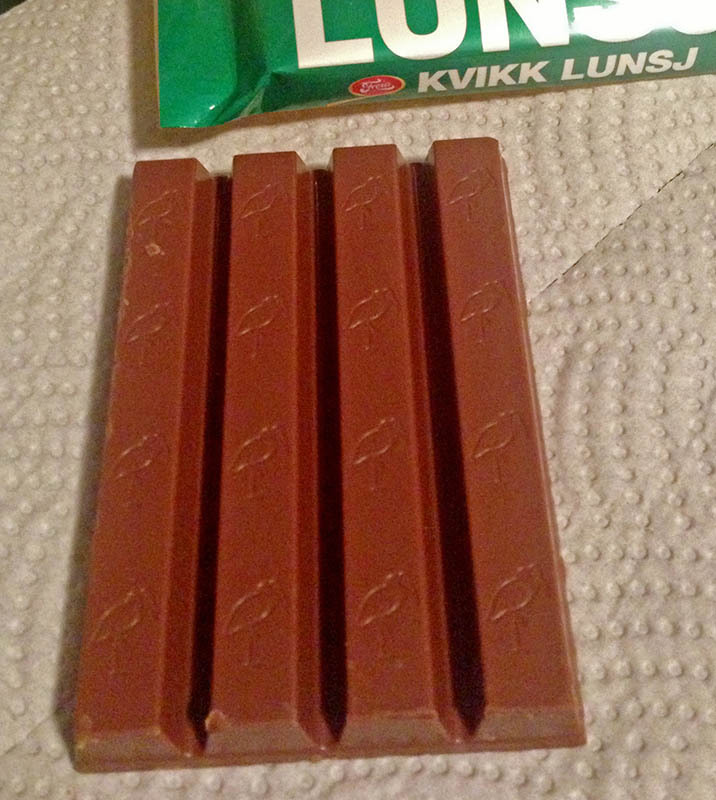 Of course there were a number of bars in there, too. 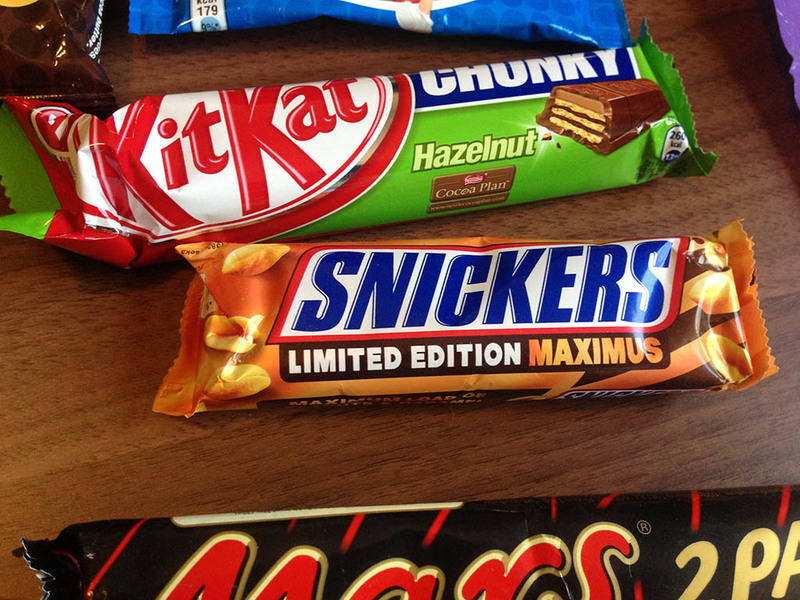 One was the latest release of the powerful-sounding Snickers Maximus, which has been a Limited Edition release a number of times. 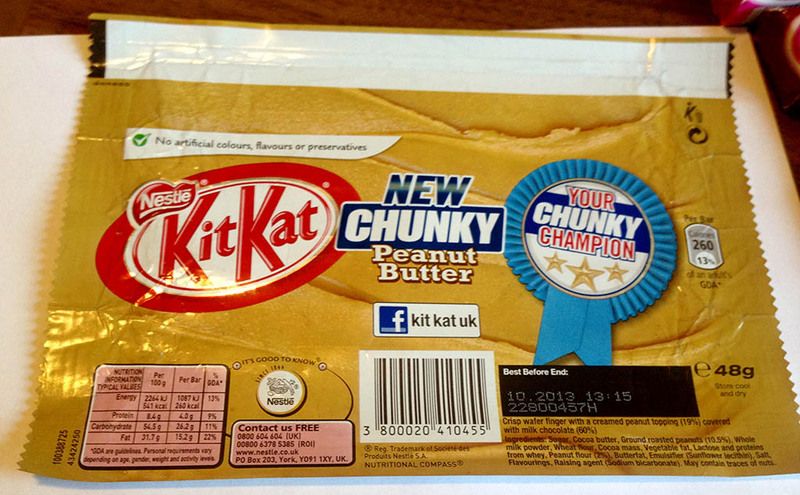 A few things arrived having already been consumed – which was expected. 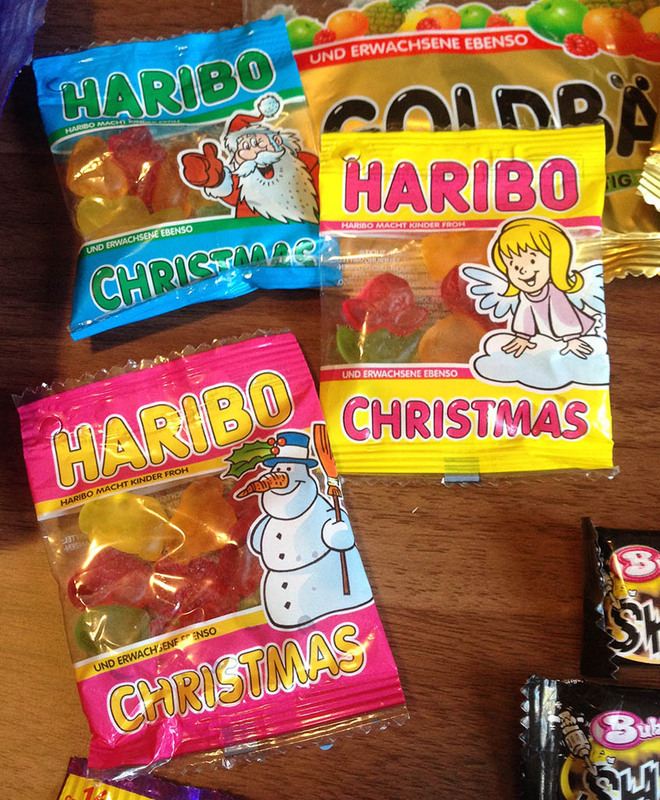 It’s so expensive to ship overseas that I only ask for a few things to arrive with the candy still inside. 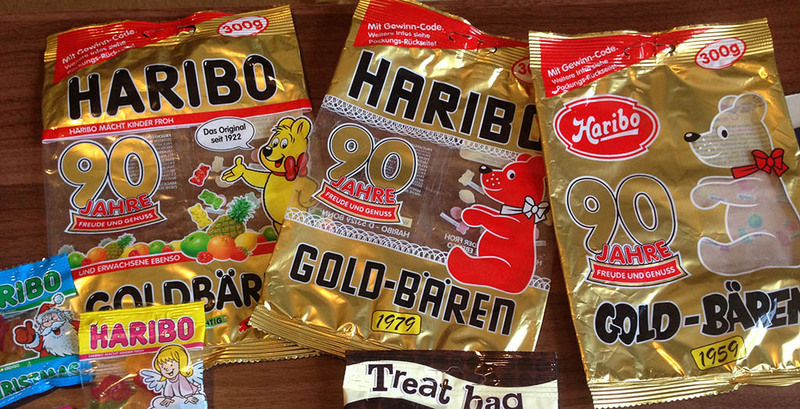 Next up is a particularly cool set of packages, as 2012 was a big 90th Anniversary for Haribo and they released a series of packages using vintage logos and mascots. 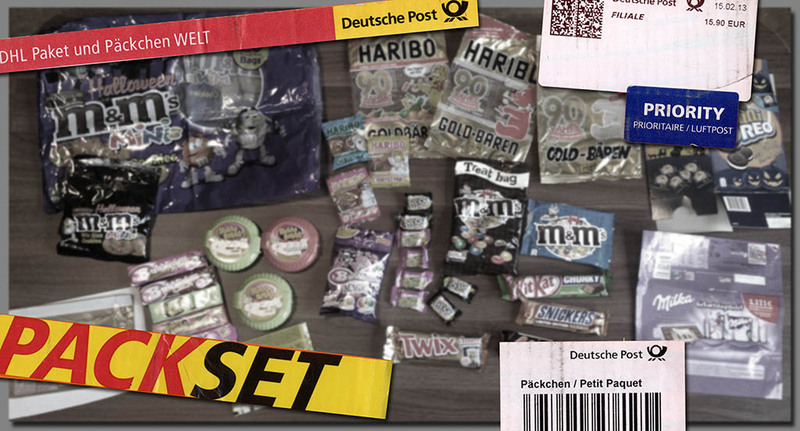 Germany candy care package – all laid out. One of the best parts of any hobby is when you can share it, and when you have the opportunity to make friends through it. So it is that I’ve been able to do a little bit of exchanging with some fellow collectors and found other non-collector friends who have picked up things for me over the years. It’s a great bit of fun. 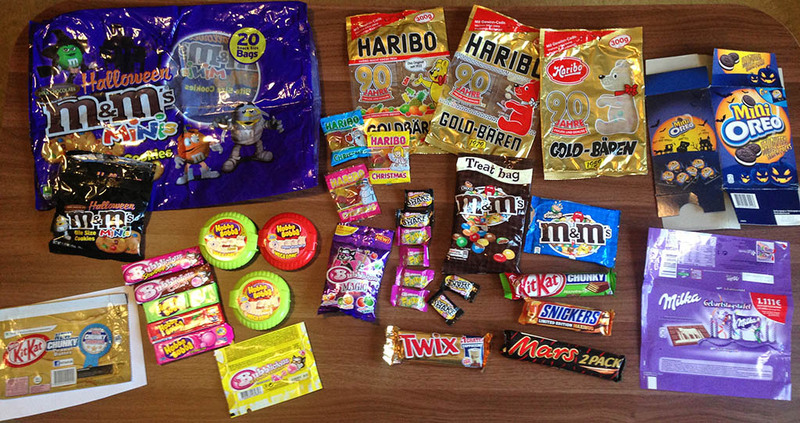 And that’s everything for today’s post and my candy care package from Germany. This entry was posted in Gummies, M&M's, Mars, Nestle and tagged British, candy collecting, candy collection, candy collector, candy wrapper collection, candy wrapper collector, collectible, collecting candy, confectionery, confections, European, German, Germany, Haribo, packaging, sweets, UK, United Kingdom, vintage candy wrapper, wrapper. Bookmark the permalink. 1 Response to Candy Care Package from Germany!